What do we mean by leadership? This is a more difficult question than you might at first think. If someone says they word ‘leadership’ to you, what do you first think of? Leadership is an interactional process where influence and power are exercised in different ways, in different locations by different people across an organisation. 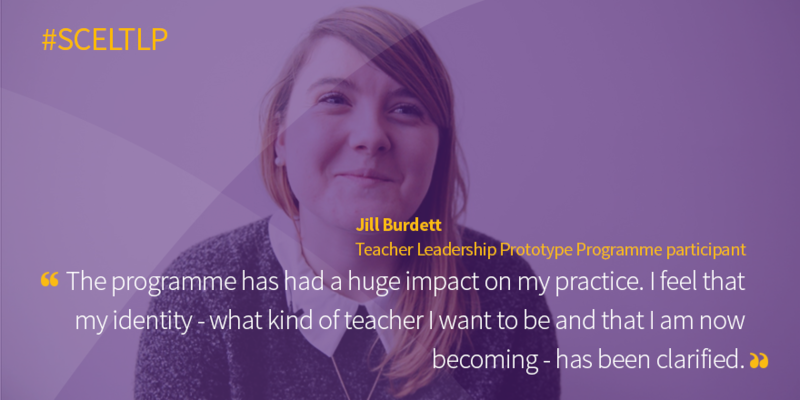 We also have a Teacher Leadership Programme on offer. This is free for teachers in Scottish schools and supports and challenges participants to take an enquiring approach to developing practice in their classrooms. We have been prototyping the programme this session and we are currently recruiting for an expanded cohort next session. If you would like to know more about this, including how to apply, check out our website. You can also keep up to date with our support for teacher leadership by joining our Teacher Leadership Network in Yammer. 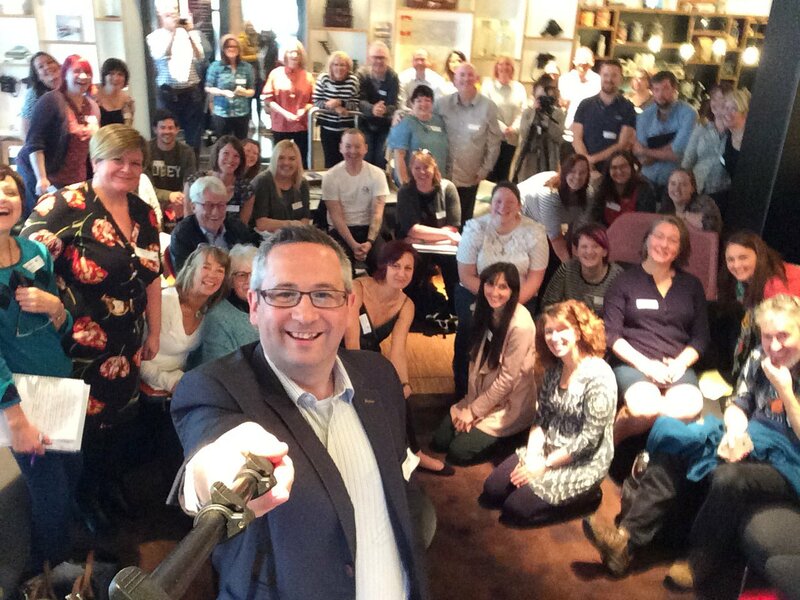 In the meantime, one other way of course to develop your leadership as a teacher is to get involved in communities such as Pedagoo, TeachMeet and #ScotEdChat…why not begin by checking out the one and only #PedagooFriday today! This entry was posted in Leadership, Pedagoo and tagged #SCELTLP on May 5, 2017 by Fearghal Kelly. 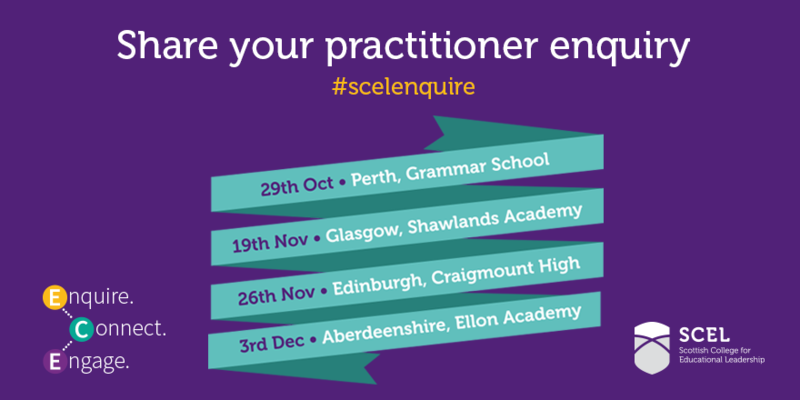 At SCEL we are really proud to have supported this event and we’re looking forward to seeing what other teacher-led professional learning events we can support in the future also. I thought I ought to share two of the presentations I gave on the day on here in case anyone was wanting them. I started off in the morning talking a bit about what educational leaders look like. You can see my slides from this here. The point I was making here was primarily that we need to dissociate the word ‘leadership’ from the word ‘promotion’, which relates a lot to my work in supporting the development of teacher leadership. However, I was trying to go a bit further here by suggesting that perhaps a key element of effective pedagogical leadership is the power of collaboration…which relates strongly to the vision of the Pedagoo movement. I concluded with the #scelfie above and argued that this collective group of teachers is what educational leadership looks like. 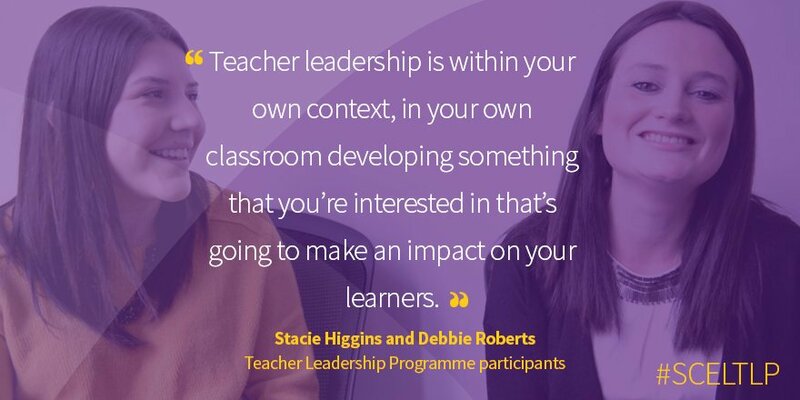 If you would like to know more about SCEL’s teacher leadership work you can download our recent report or you can take your own professional learning forward as a teacher leader through our Framework for Educational Leadership. You should also check out our upcoming series of Enquire Connect Engage events! I then also led a learning conversation based on my work as a teacher to find ways of involving pupils in planning learning. You can view the presentation I used for this here. I’ve written much more about this approach here, and you can also download this excellent book which relates to this approach for free! If anyone wants to get in touch regarding either of my presentations yesterday, or anything else related to teacher leadership, please feel free to do so. My contact details can be found here. This entry was posted in Pedagoo, PedagooEvents, Professional Learning and tagged #PedagooMuckle on October 2, 2016 by Fearghal Kelly.